This is a broad-based article. I wanted to point out some interesting topics that didn’t have enough content for a blog article on their own. Boulders can be found all over Yosemite: in river beds; at the side of a road; next to a campground; or at the base of a mountain. Whether exposed by erosion, drawn to another area due to a receding glacier or is a protrusion of granite emerging from below the earth’s surface, boulders are a prominent feature in the park. Some are bigger than your house or car. Others can be bigger than an apartment building. I always wonder if a boulder fell from a mountain, the incredible sound it must have made when it came crashing down (no comments about whether someone was there to hear it fall). Olmsted Point is a scenic overlook on the Tioga Road. 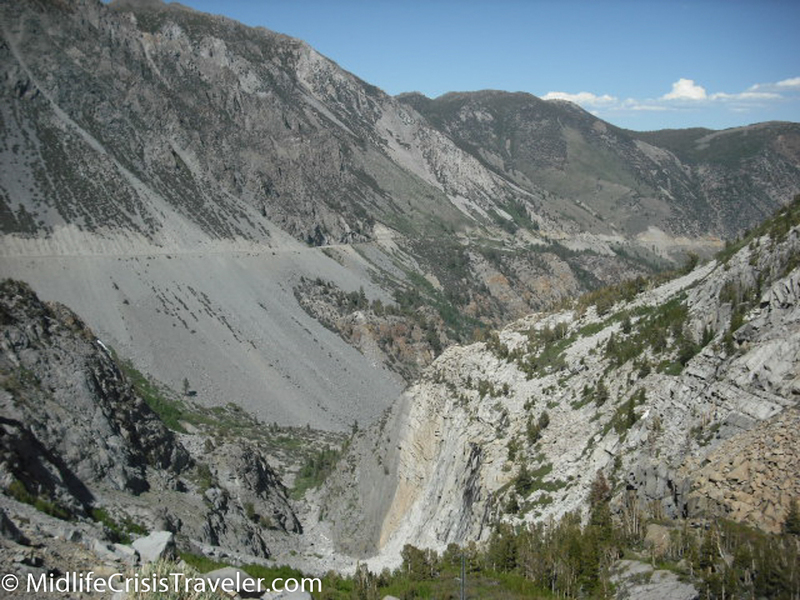 FYI, Tioga Road is only open during the summer and I recommend that you drive it when given the opportunity. Frederick Law Olmsted was an architect and conservationist who designed several municipal parks around the country including Central Park and Prospect Park in New York City. He was instrumental in preserving land for our national parks. This location was dedicated in his honor. Snow can be found almost year-round in the park. I have been to Yosemite in July and seen snow even at low elevations, especially in shady areas. In years where there has been significant snowfall, the waterfalls will have a strong flow of water from May through mid-July as the snow melts. During the years of the California drought, even large waterfalls like Yosemite Falls would run dry in the late summer. Safety is of immense importance when spending time in our national parks. Keeping a safe distance from wild animals, making sure you have enough food and water while camping and hiking and keeping your eyes on the road while driving is extremely important. For example, the picture below shows a road where there is no guardrail and a drop of several hundred feet. Distracted driving could lead you over the edge and once you’re falling there is nothing but the bottom to stop you. Camping is a very popular activity in the parks. Campers come with all different strategies to try to conquer the wilderness. Some will “camp” at one of the lodges/hotels, others will drive their big RV’s, some will tow popup campers and the true modern pioneers will pitch a tent and rough it. The tents in the picture can be rented and include a stove. Have you camped in the parks? Have you been to Olmsted Point or taken a picture next to a massive boulder? Tell us about your experiences in the park. For more information about Yosemite National Park, click on the link below.